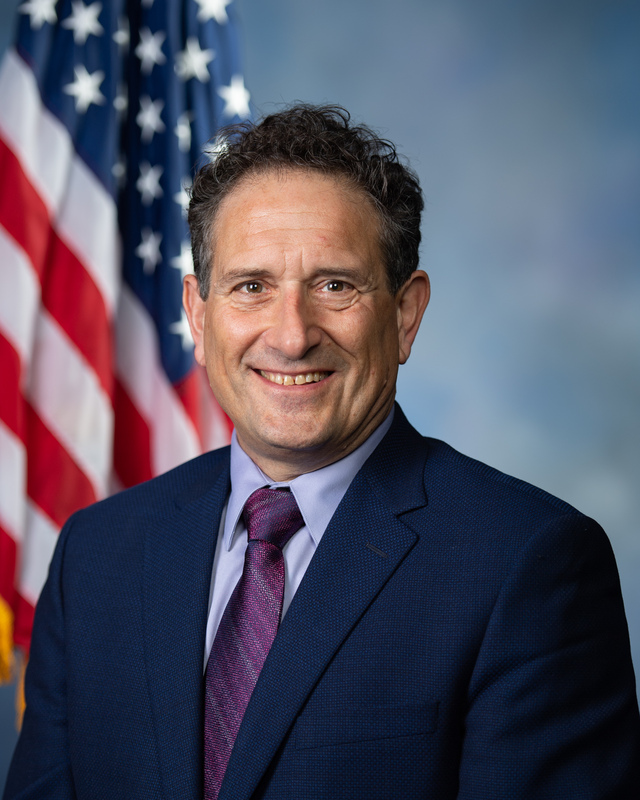 A union organizer, human rights activist, workforce policy expert and green energy entrepreneur, Andy Levin was elected as a Democrat in 2018 to represent Michigan’s 9th District in the House of Representatives. Levin was born in Detroit, Michigan on August 10, 1960. He attended Berkley High School in Michigan before graduating from Bethesda-Chevy Chase High School in Bethesda, Md. in 1978. Levin received a bachelor’s degree from Williams College (1983), an M.P.A. from the University of Michigan (1990), and a law degree from Harvard (1994). His professional experience includes starting Lean & Green Michigan in 2011, serving as deputy director and acting director of the Michigan Department of Energy Labor and Economic Growth, serving as the chief workforce officer for Michigan, acting as a staff attorney for the Commission on the Future of Worker-Management Relations, and creating the job retraining program No Worker Left Behind. Levin also worked as a staff attorney to President Clinton’s Commission on the Future of Worker-Management Relations, as an organizer for the Service Employees International Union (SEIU), and as the assistant director of organizing for the national AFL-CIO (1995-2006). After working with Haitian immigrant workers, Levin co-founded an organization to assist immigrants with challenges posed by the Immigration Reform and Control Act of 1986. He also worked as a principal investigator and writer for Human Rights Watch. Levin worked in Washington, D.C. as a staff attorney to the presidential Commission on the Future of Worker-Management Relations and also in the secretary’s office of the U.S. Department of Labor. In 2008, Levin helped create Michigan’s Green Jobs Initiative and the Green Jobs Report in 2009. Levin went on to create the Michigan Academy for Green Mobility Alliance (MAGMA), which trained hundreds of unemployed and incumbent engineers to electrify cars. In 2011, Levin founded Levin Energy Partners LLC to help shape Michigan’s and America’s energy future. Levin created and ran a statewide market to finance clean energy building improvements called Lean & Green Michigan In 2018, Levin’s program helped a wide variety of building owners initiate $17,900,000 in clean energy projects. That year, he received the Leader of the Year Award from the Michigan Energy Efficiency Contractors Association in 2018. Levin grew up in a rather secular Jewish household, but has been very committed to Judaism in adulthood. Until his election to Congress, Levin served as president of a Reconstructionist Jewish synagogue and chair of the steering committee of Detroit Jews for Justice, an organization he helped create to fight for racial and economic justice in Detroit. Levin married his high school sweetheart Mary Freeman in 1991. They have four children – Koby, Saul, Ben, and Molly. Levin defeated another Jewish candidate, Ellen Lipton, to win the seat of his father Sander Martin Levin, who retired after serving for 35 years. He is the nephew of Carl Levin, who served in the Senate.